Amazon Web Services (AWS) has honoured its top performing partners across ASEAN, recognising channel excellence following a strong year of growth. Unveiled during the AWS Partner Summit in Singapore, the awards recognised standout specialists throughout the vendor’s ecosystem, spanning born-in-the-cloud, traditional, consulting and technology partners. 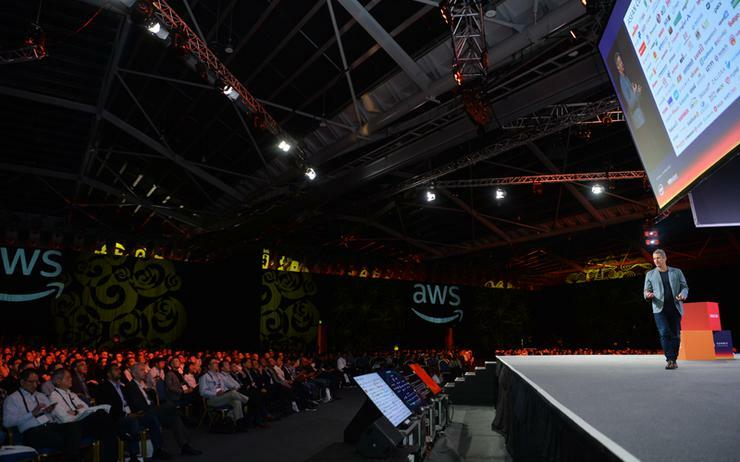 Acknowledging specialisation and collaboration, the tech giant rewarded partners building on the AWS Cloud, leveraging emerging technologies such as big data analytics, machine learning and artificial intelligence. Specific to Singapore, Sourced Group took home the Rising Star award, while 1CloudStar was recognised as the leading Specialised Partner across the region. Meanwhile, DailiTech of Thailand took home the Innovation honours, with GoQuo of Malaysia acknowledged as Technology Partner. Global provider Accenture claimed the Consulting Partner award following standout work across Malaysia, Indonesia and Philippines. “AWS partners are adding value to customers across a wide range of industries, from banking and finance, to the public sector, and increasingly, the South East Asian start-up sector,” AWS managing director of ASEAN, Nick Walton, said. “The winners of the 2018 AWS ASEAN Partner Awards understand that customers can access more than 100 services to innovate in a myriad of ways. The AWS Partner Network (APN), is a global partner program, focused on helping the tens of thousands of participating partners build successful AWS-based businesses or solutions by providing business, technical, marketing, and go-to-market support. The APN includes independent software vendors (ISVs) and systems integrators (SIs) around the world, with APN Partner participation in Southeast Asia hasgrown significantly over the past seven years. A partner that has gone from zero to hero during the qualification period. Source won the award for ramping up on their local capabilities and capacity in Singapore. A partner that has developed a differentiated capability on or integrated with AWS, and has launched it to market during the qualification period. DailiTech won the award for the innovative use of AWS services to create solutions for their customers, using advanced machine learning technologies like Amazon SageMaker, and Amazon Lex. A consulting partner who has delivered consistently well throughout the period, developed its AWS business and grown with AWS during 2017. Accenture won the award for its work in Malaysia, Indonesia, and the Philippines. A technology partner who has leveraged the best of AWS, the AWS APN and continued to expand and growth with AWS during 2017. GoQuo won the award for its work building solutions for customers across ASEAN on advanced AWS services. A partner who has gone deep with AWS in a specific service, industry, or competency and delivered results with AWS during 2017. 1CloudStar won the award for providing critical solutions built on the AWS cloud for customers across ASEAN.